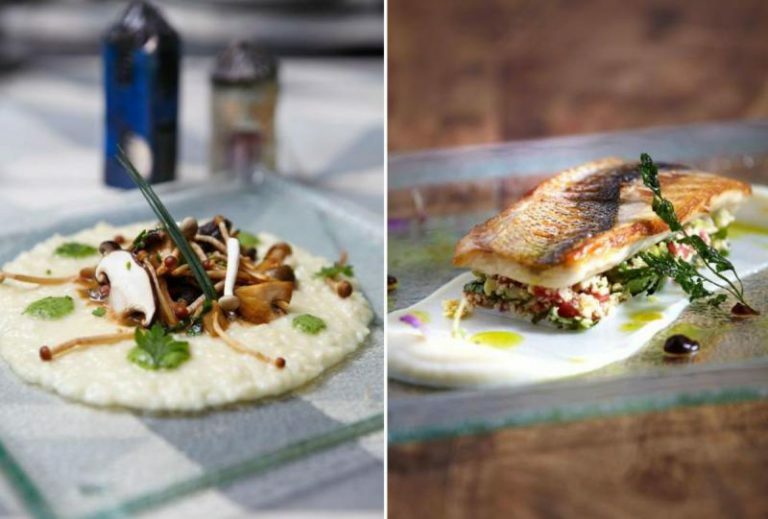 Aleria restaurant’s head chef Gikas Xenakis didn’t exactly follow the traditional pathway to a successful culinary career. 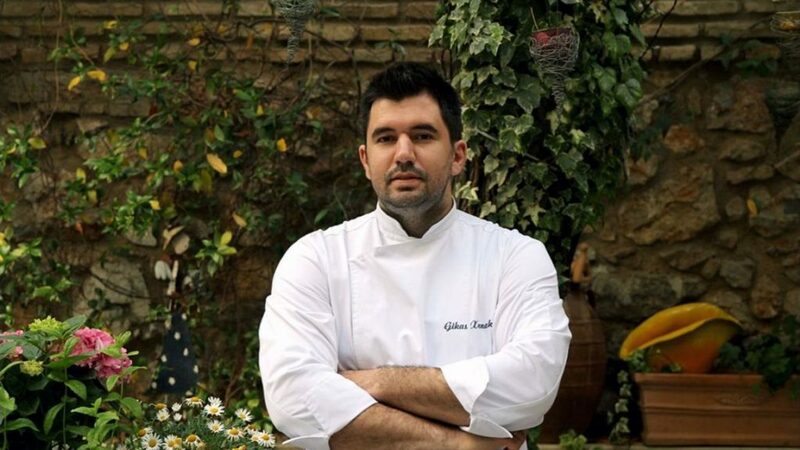 Whereas most of his industry peers could recall memories of helping in the family kitchen at an early age, or being born into the restaurant business, Gikas couldn’t have been less interested in food as a youngster. He describes himself as being a “very bad eater” in his youth with a burning ambition to study business management. The turning point came when Xenakis’ application to his preferred university course was rejected. He was advised his best option was to study a trade for a year and apply again after that. “My father ‘suggested’ I study cooking. “I was actually angry about that and I told my parents they could be wasting money on a course that would lead to nothing. They said they were willing to risk that possibility,” Xenakis recalls. After securing a placement at a five-star hotel in Crete, he suddenly discovered a passion for food and his destiny was set. “Since I started working in the kitchen I have doubled my weight,” Xenakis says with a grin. After learning his craft at Athens fine dining institutions Spondi (French) and Boscetto (French-Italian), five years ago he joined Aleria; lured by the opportunity to work with Greek traditional food and ingredients and customise the dishes with his own creative twist. Despite his lack of interest as a child, the 34-year-old says his mother and his grandmother were very good cooks. “I like to take the traditional food we grew up with and put my stamp on it,” he explains. For instance, I never liked feta and watermelon growing up. Now I make my own version and it is very popular on the menu. “I also like to work with the ingredients we have here in Greece and create something new. We have very good fruit and vegetables and of course fantastic lamb,” Xenakis adds. Greek Australian waiter Jim Minadakis, who has been at Aleria for the last three years, says the head chef can be a hard taskmaster but he loves being part of his team. “Gikas is quite young, but he runs a tight ship. He is very planned and organised down to the last detail. To be honest I love serving our customers the quality food that we produce at Aleria. If a dish is slightly delayed coming out I know it is because Gikas is ensuring our diners get the best experience,” Minadakis says with obvious pride. Xenakis, who was described at OMG week in Melbourne last year as being “a prominent member of the New Greek Food Movement,” loves to travel and taste dishes from around the world. “My dishes are based on memories of growing up in Greece on the one hand and inspiration from my travels using quality Greek ingredients on the other. “OMG Week with George Calombaris was one of the best experiences of my life and the best in my professional career. “The cuisine is different from ours in Greece because of the Asian influence in Australia. I ate at the Press Club and Gazi restaurants in Melbourne. The Press Club’s food is very interesting and tasty and some of the dishes at Gazi are the work of a genius. The soft shell crab souvlaki is absolutely amazing. I would never have thought of that one,” Xenakis says clearly impressed by the innovation. There are suggestions that Xenakis is on the verge of a Michelin star but this prestigious honour is not the only motivation for him in the kitchen. “It is important for the restaurant and a chef to receive a Michelin star and other awards, however the biggest recognition of all is the feedback from the people that eat at my restaurant. “With the economic crisis in Greece I believe that Michelin may not be focusing as much on a city like Athens as they think people may not be able to afford this style of dining,” he laments. The Aleria restaurant premises are easily recognisable; a beacon of historical elegance surrounded by 1960s/70s concrete apartments, in the up and coming Athens inner city suburb of Metaxourgeio. The neoclassical building, built in 1895, was discovered abandoned 15 years ago and has since been renovated with tasteful modern decor. Aleria owner Nikiforos Kehayiadakis suggests the building and food are in perfect harmony with each other: a traditional base with a modern finish. Prices are at the modest end for a fine dining restaurant and Xenakis explains the thinking behind it. “Our customers are probably split half and half between tourists and locals. Xenakis is adamant that the Athens food scene is experiencing an all-time high at present. “A lot of chefs here are working very hard with a lot of passion and experimenting with new raw ingredients to create different meals. 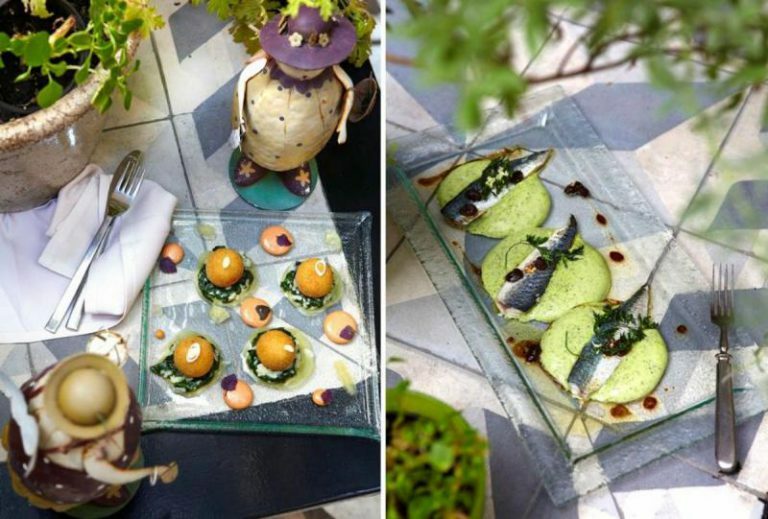 We have been through a stage of focussing on molecular gastronomy to now serving quality innovative dishes,” he said. In a perfect world, Xenakis would like to grow his restaurant produce in his own garden. Not an easy proposition in downtown Athens. Xenakis doesn’t have a favourite dish on his menu, he suggests my question is like asking a parent who their favourite child is. When pressed he nominates the pastistsio made with oxtail; a traditional Greek dish that has become a perennial customer and staff favourite. From personal experience I can tell you it deserves all the accolades. Xenakis, who consults for a number of other restaurants, didn’t ever return to study business management. His passion for Greek food is all encompassing. “Have you tried the feta and watermelon yet? You must try it,” urges the once food-shy chef. 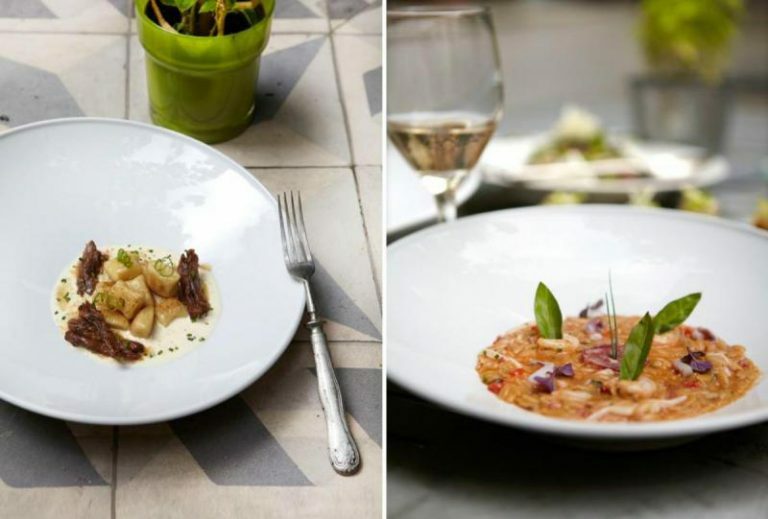 Aleria Restaurant is located at Megalou Alexandrou 57, Metaxourgeio Athens, Greece. Open Monday to Saturday 7.30 – 10.30 pm. For more visit their website.